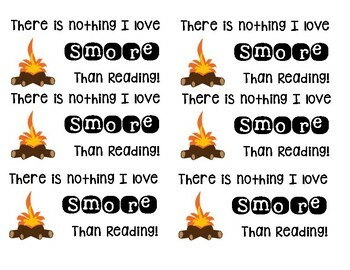 I made these sweet labels for my Camp Read-A-Lot room transformation. What a lovely way to roll into a long weekend or school break. I put Golden Grahams cereal, chocolate chips and mini marshmallows in snack baggies to pass out while kiddos were reading in tents or by the "campfire", but I've seen lots of great variations online too.